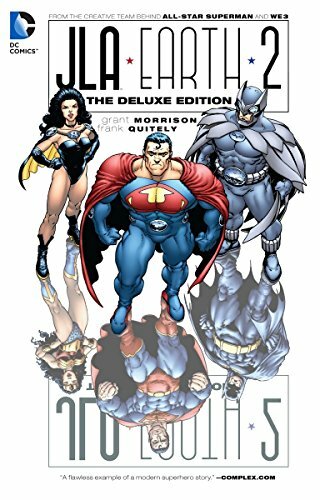 The legendary Crime Syndicate of Amerika stars in this new edition of this unforgettable tale, with a new cover by artist Frank Quitely! Nothing has ever seriously threatened the global corruption they proudly enforce, but now a twisted mirror image of the CSA has arrived from the flip side of reality. Can anything stop this so-called 'Justice League,' or will the perfect evil of the Earth 2 fall victim to the tyranny of law, virtue and freedom. 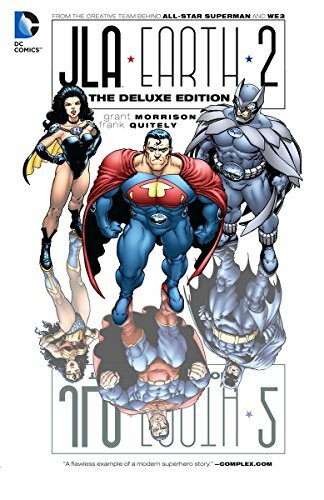 They are the world's gravest super-villains: Ultraman, Owlman, Superwoman, Power Ring, and Johnny Quick — the legendary Crime Syndicate of Amerika. Nothing has ever seriously threatened the global corruption they proudly enforce, but now a twisted mirror image of the CSA has arrived from the flip-side of reality. Can anything stop this so-called "JUSTICE LEAGUE," or will the stable, perfect evil of Earth 2 fall victim to the tyranny of law, righteousness, and freedom?